Whether you prefer a cool, shaded spot in the woodlands of the Ozark Mountains or a sunny, lakeside view of the river or lake … Eureka Springs has the perfect summer vacation retreat. The amazing town of Eureka Springs is surrounded by private and secluded cabins, just minutes from town. On your next vacation, think outside of Eureka Springs! Rustic charm, spacious decks and lush linens. Since the 1930’s, Spider Creek has been a destination for generations. Fishing and other resort activities are favorite activities. Holiday Island is a wonderfull community located on Table Rock Lake. These great rental options give you great location and are close to a fabulous Golf Course as well. Can-U-Canoe has one of the best views overlooking the beautiful White River Valley. Can-U-Canoe Riverview Cabin Rentals in Eureka Springs, Arkansas offers 8 secluded, comfortable and affordable family and honeymoon cabins as well as luxury vacation homes.This is definitely the spot for your large family getaway. Treehouse CottagesHandbuilt treehouses 25 foot off of the ground make Treehouse Cottages a unique and fun retreat. Seclusion of 33 acres of pine forest provide private trails, intimate spaces and amazing views. Organic architecture, unique art, included resort amenities and an onsite spa make this retreat something special. See a full listing of Eureka Springs cabins and cottages on EurekaSprings.com. 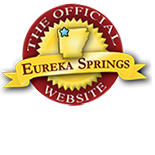 Find special Eureka Springs lodging rates and last minute deals on ReserveEureka.com. This entry was posted on April 27, 2017 by service424 in Eureka Springs Lodging, Lodging Specials, The Great Outdoors, Weekday Getaway and tagged beaver lake, Eureka Springs, Eureka Springs Arkansas, Table Rock Lake, white river.